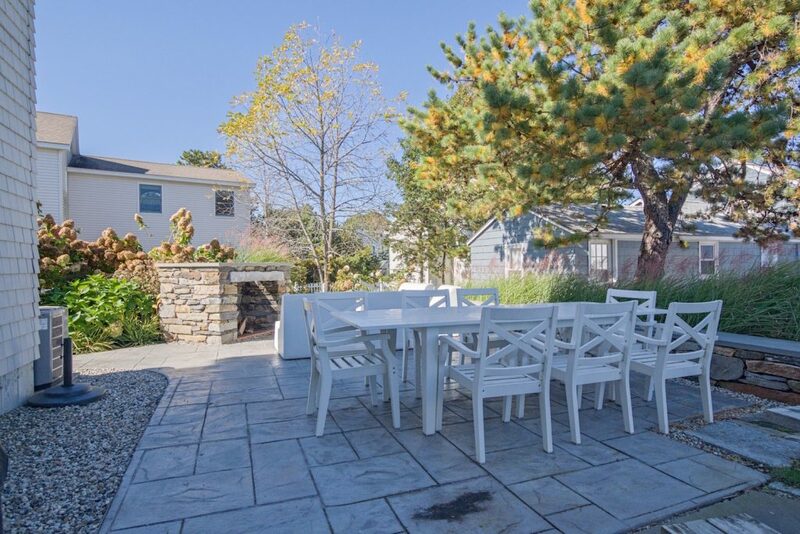 The Kinney Shores property is barely a one-minute walk to sand and surf. 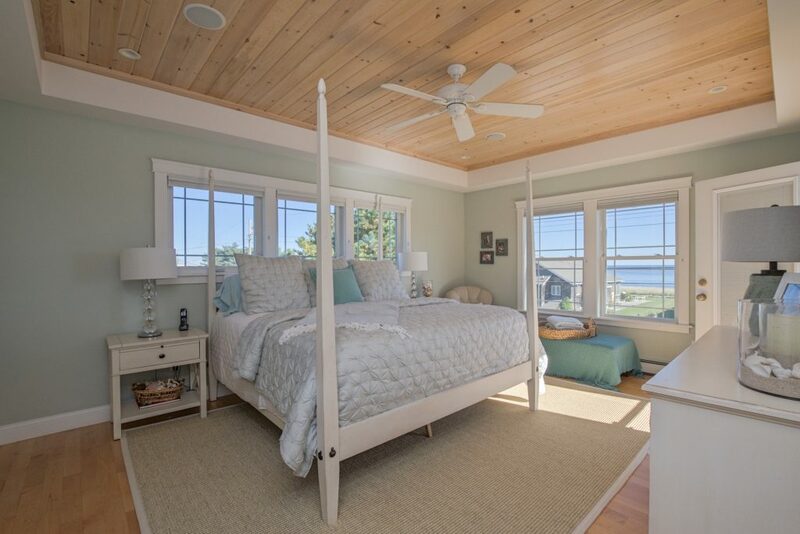 SACO – Every day, year-round, is a beach day at this sterling home in highly desirable Kinney Shores, thanks to the sparkling-blue ocean views out to Eagle and Bluff and Stratten islands and beyond, and northeast to Pine Point and Prouts Neck. And, of course, thanks to the fine clean sands and rolling surf that are steps away, across the quiet lane and down a short path through the beach grass. 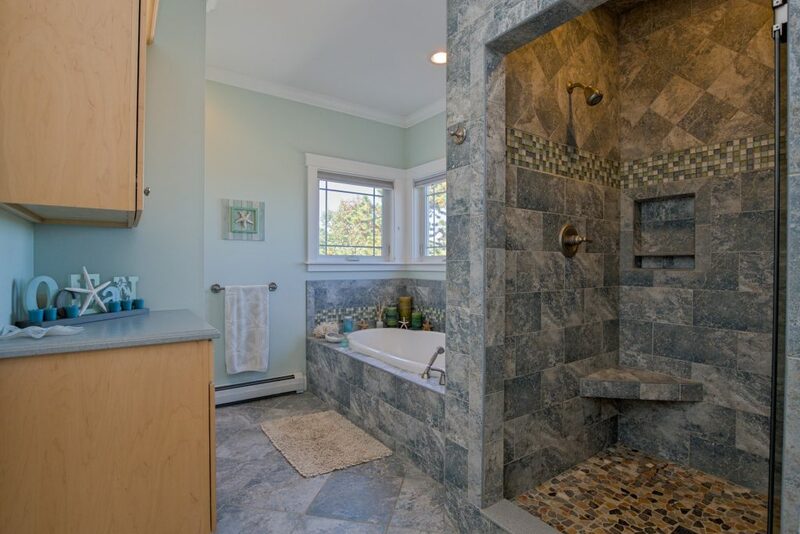 And, because this grey-shingled Maine coast classic is the very definition of a beach house, inside, and out (note the patio with its huge, stone fireplace, and the fenced outdoor shower enclosure nearby). 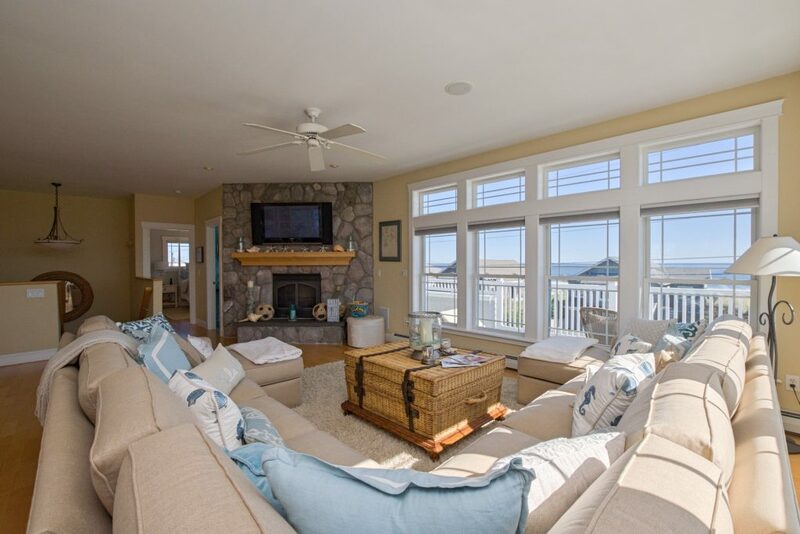 There is ocean-inspired decor throughout the sun-kissed interior. 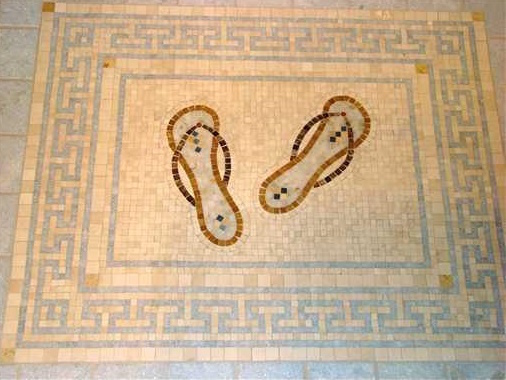 Note the cheerful aquas, the beadboard, the fun flip-flops depicted in the Romanesque tile of the first-floor full bath. 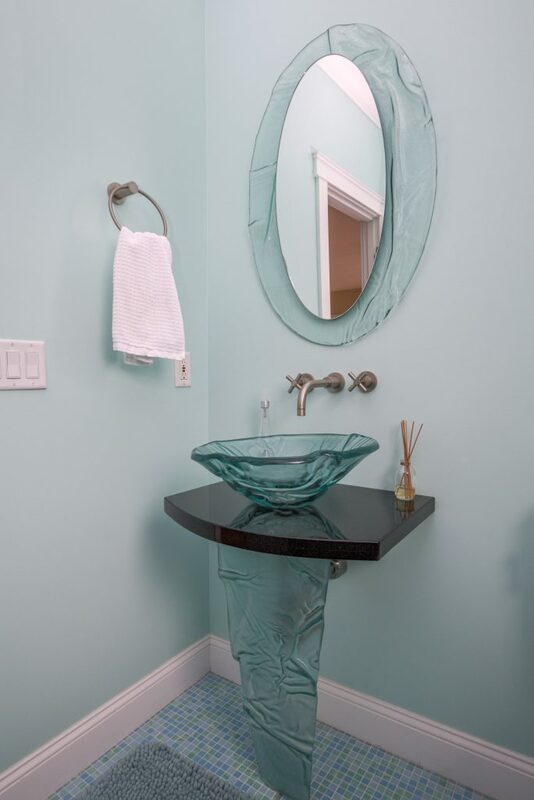 In one upstairs bath, the blue-green glass vessel sink looks to be supported by a cascade of water (it’s a vertical “wave” of the same glass). 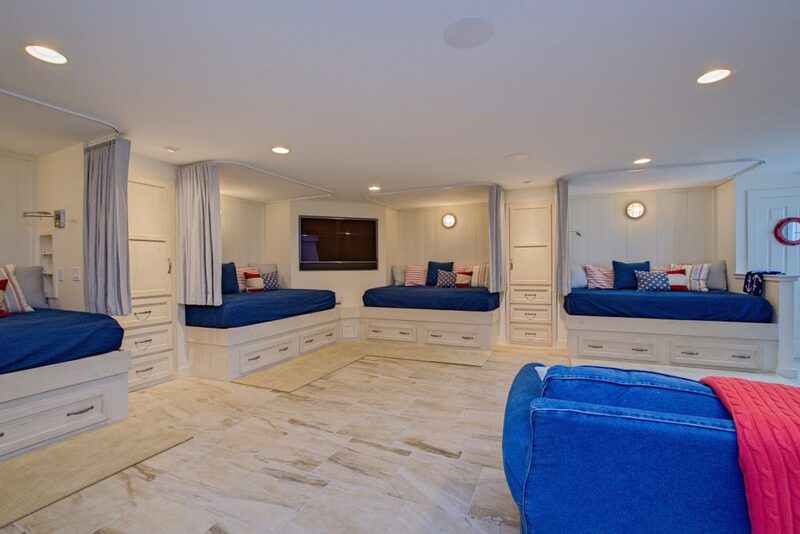 On the lower level, there’s a big bunkroom whose five built-in, full-size-bed berths have drawers beneath, curtains for privacy, and ship’s lights for illumination. 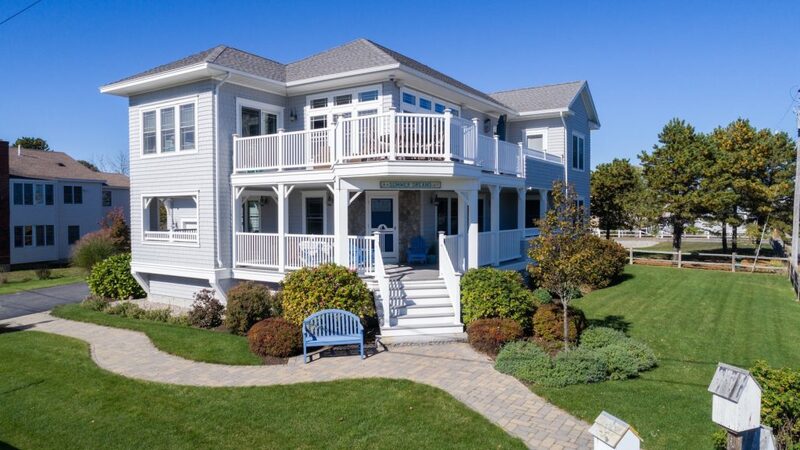 The 4,166-square-foot home, built in 2006 and expanded in 2016, was designed to make the most of its setting, including an angle that creates an unobstructed southeasterly water view, and with three (of five) bedrooms on the first level, which also has a handy kitchenette for guests. 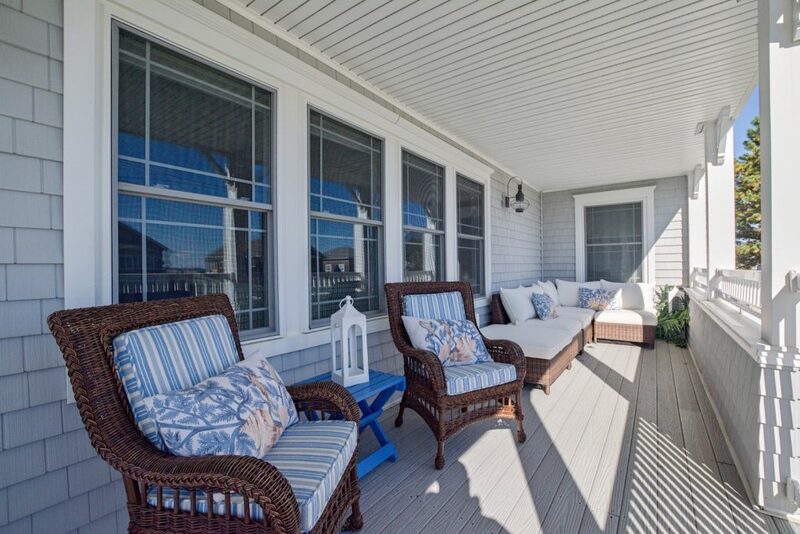 Decks on two levels provide “outdoor living rooms.” The open-concept main living area – gorgeous granite-and stainless cook’s kitchen, dining, living room, and a delightful sunroom – is elevated to the second floor, as is the front-to-back master suite. 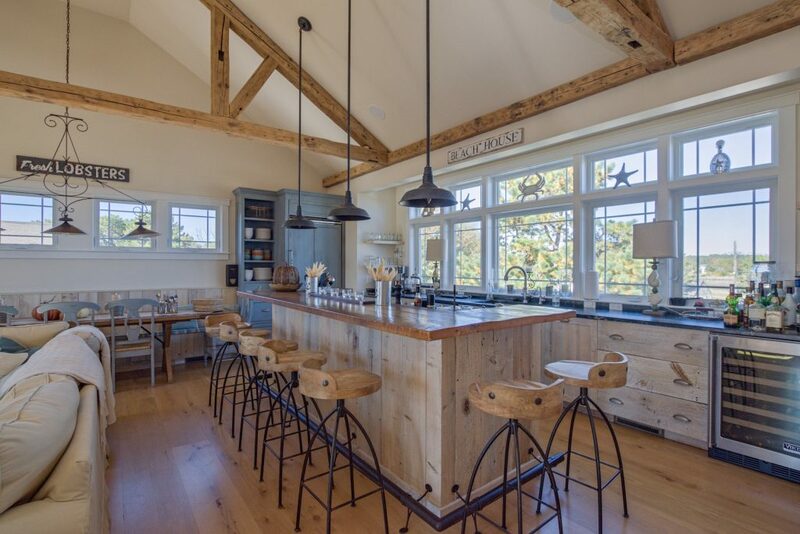 Last year, an amazing great room/family room, with kitchen, bar, banquette seating, and one of the home’s two gas fireplaces, was added. It’s ideal for entertaining. 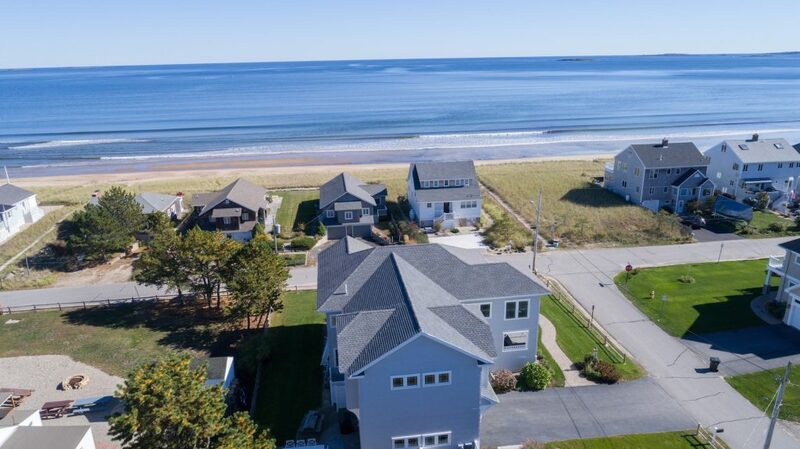 The home at 12 Shore Ave., Saco, is listed for sale at $1.6 million by Sandra Murray of Keller Williams Realty. Annual taxes are $18,636. Note that all furnishings, personal items excepted, are included in the sale. 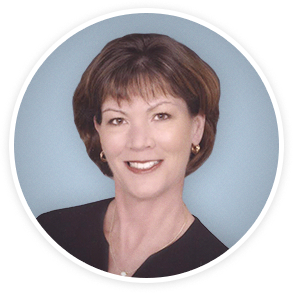 For more information or to arrange a private viewing, please contact Sandra at 415-5175 or at [email protected]. Photos by Steve Girard, xtremeaerialview.com. 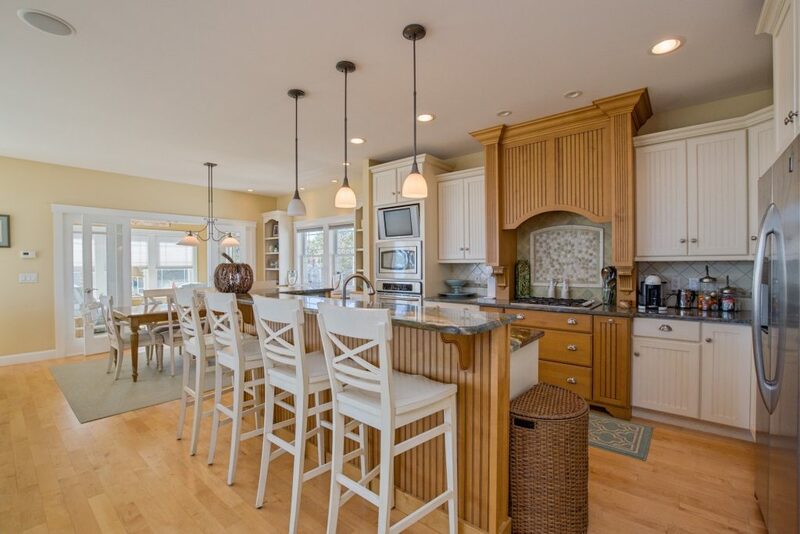 The Home of the Week is produced by the Marketing Department of the Maine Sunday Telegram. Send feature home suggestions to [email protected].